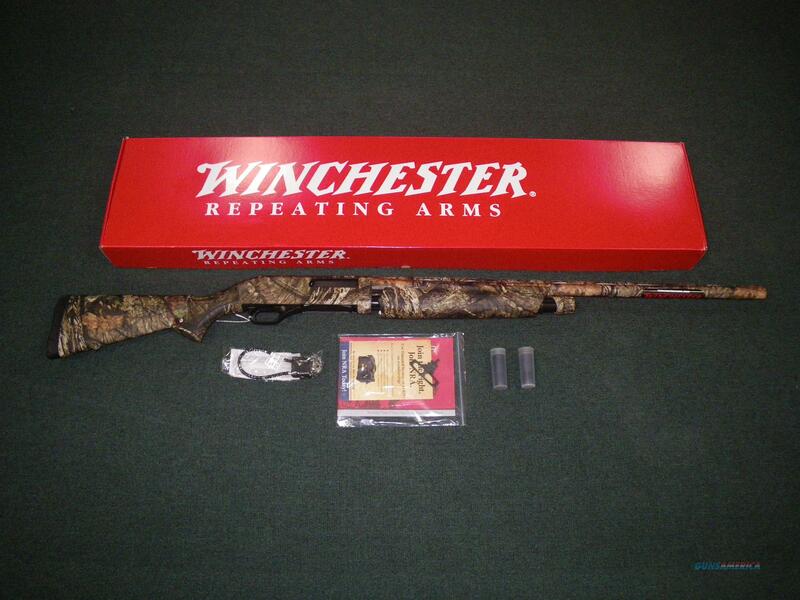 Description: You are bidding on a new Winchester Super X Pump Universal Hunter in 12ga with a 24" barrel and 3.5" chamber. Pump guns are often considered utility guns. But the Universal Hunter goes above and beyond -- ready for the full range of hunting you do. The Mossy Oak Break-Up Country camo is durable and offers full coverage for any season you hunt. It comes with three choke tubes, Full, Modified and Improved Cylinder. Displayed images are stock photos. Any questions please feel free to ask (our phone number is in the additional information tab above).